To ensure that we are able to meet every need whether for exterior or interior placement, our banners are available in three thicknesses. 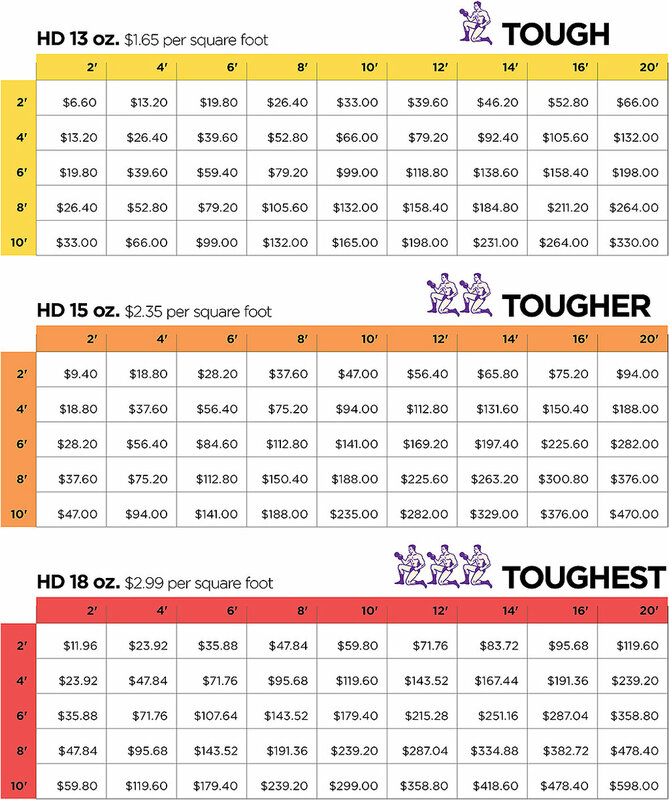 The charts below provide pricing information based on each of the different weights (13 oz., 15 oz., and 18 oz.). Our average production time is 24 hours. Standard domestic overnight shipping for most orders is $15.00. For banners that exceed 1000 square feet or for any other question please call 617.203.2093 x223, or email us at info@warren-impact.com. How long is your banner in inches? How wide is your banner in inches?